The leafy Southern Suburb of Newlands is arguably one of the most beautiful areas in the city and is renowned for its sporting facilities and being home to some of the best schools in the country, but there is so much more. Read on to discover all that the area has to offer. 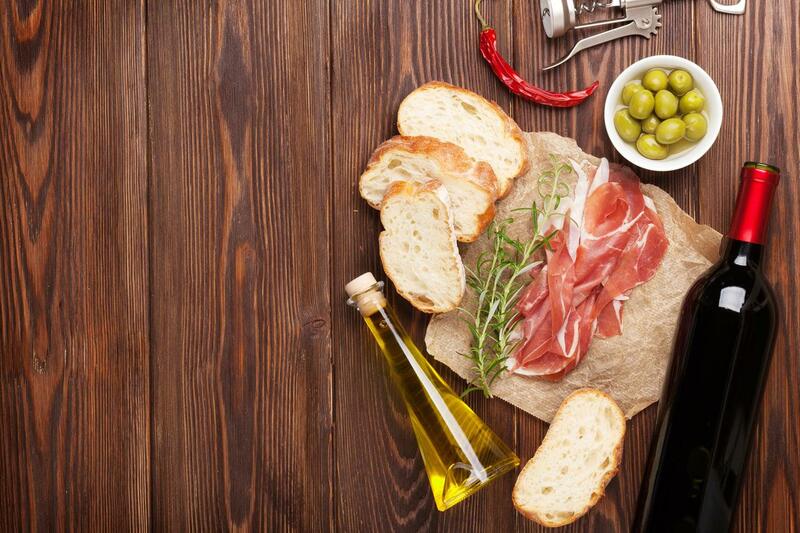 Newlands may not be the first place you look to when you’re thinking about dinner and drinks, but the truth of the matter is that there are plenty of options to choose from whether you are looking for a bite to eat or a few drinks. We have rounded up some of our favourites. This delightful Italian restaurant opened in Tokai and married an inviting atmosphere with a great menu to capture the hearts of Cape Town. The Newlands branch was recently opened and has continued the trend with patrons lining up for their gourmet pizzas and wide range of pastas. There is also a dedicated kids menu making it perfect for families. This delightful eatery in leafy Newlands is a parent’s dream: from the wholesome Italian dishes to the magnificent views of Table Mountain and the ample parking (perfect for transporting prams) to most importantly, plenty of space for both youngsters and the family dog, it has fast become a well-loved establishment in its neighbourhood. Owned by Anthony and Krista Bounds, who are parents to an energetic toddler too, Basilico offers a wide variety of child-friendly dishes, including pastas, beef fillets, risottos, sweet desserts and more. Best of all, it’s totally affordable and offers daily lunch specials. And for the kids? The Piccola pizza, for which your youngster can choose his or her own toppings, and the fun ice cream and sprinkles for dessert. Bihari specialises in authentic Indian foods, offering an extensive menu of mouth-watering fusions from Northern India. This sit-down establishment has large wooden doors, hues of gold and red, wrought iron lanterns and plush seating. It is a comfortable Indian sit-in restaurant for the whole family. One of two restaurants in the Mother City, the Newlands branch can be found on Dean Street – just up the road from the Newlands Rugby Stadium – and like the Meadowridge venue, it is unpretentious and relaxed. The menu is vast, with everything from salads and stir fries to sushi and crispy duck, while the wine list also has plenty of options. Located in the heart of the Southern Suburbs, owners Romano and Cristina Gorrini have established a true Italian experience in Newlands. A menu absolutely heaving with exquisite pasta dishes makes Mama Roma one of the city’s favourite Italian restaurants, while there are plenty of other options to choose from if you’re steering clear of the carbs. Housed in the old Josephine Mill in Boundary Road, The Toad, as it is affectionately known, is a perfect spot to grab a couple of beers before a game – it’s right next to Newlands Rugby Stadium – and a quick bite to eat after. Family-friendly with a number of big-screens to view the game(s), makes The Toad a top spot for all occasions. Situated in the heart of Newlands Village, Barristers has undergone plenty of changes in its time, but it is a restaurant that is almost synonymous with Newlands, a constant favourite of the Southern Suburbs crowd. Barristers is well known for its steaks and extensive wine list and also offers 20 beers on tap – small wonder then of its popularity. If you’re looking for something sweet or just want to cool off, look no further than The Creamery, which is quickly becoming one of the favourite ice cream shops in the city. Known for its unique flavours such as naartjie choc chip, sea salt caramel and more, it also has all the old favourites as well. Then there are still the waffles, sundaes and milkshakes to get stuck into! Forrie’s is an institution in Cape Town and an absolute favourite amongst the Southern Suburbs crowd. It is always busy… always. You have been warned. Just a couple of kilometres away from the Newlands Rugby Stadium, this perennially busy spot is always packed for the rugger. There are big screens situated all over the venue. Get there early or you may not get a good vantage point for the games… or even the bar. Situated between the Newlands cricket and rugby stadiums, the Springbok Pub caters to a sports mad crowd, particularly on match-days. Open from 12pm to late, make sure you take advantage of their Happy Hour every week day from 4pm to 7pm. The venue also has a popular beer garden and offers a great pub menu with very reasonable prices. Image courtesy of WP Rugby. The home stadium to the Stormers and Western Province, Newlands Rugby Stadium one of the grand old dames of rugby in this country – it is the oldest in the country and second oldest rugby stadium in the world. Rugby is huge in Cape Town and you can bet on game day that Newlands is overflowing with rugby fans, who spill out onto the streets after the game and keep things going until the early hours. The home to the Cobras, Sahara Park Newlands, is largely regarded as one of the most beautiful stadiums in the world, with the backdrop of Table Mountain and lush green lawns for supporters unrivalled in terms of aesthetic value. Newlands also plays host to international cricket matches, with the traditional New Year’s Test always close to capacity across all five days. There are three venues synonymous with the lush, leafy suburb of Newlands – the rugby stadium, the cricket stadium and, of course, the brewery. The oldest in the country, it dates back to 1820, the brewery offers guided tours that provides insights into modern day brewing methods. The tour, which takes about an hour, includes a bit of the Brewery history, sustainability and a walk through the process. It also includes the Speciality Brewery – Newlands Spring Brewing Company – and fittingly ends with a beer tasting and a couple of pints in the brewery’s historic pub. Open to the public all year round (Adults, R21; Children, R10.50; Pensioners, free), Newlands Swimming pool is something of an institution and perfect for a hot summer day. Consisting of a main pool, a children’s pool and a diving pool (everybody has to try the high board at least once), the facilities include a small shop, showers and ablutions. Kirstenbosch National Botanical Garden is reputed to be the most beautiful in the world. The experience of rolling greens, splashes of floral colour, shaded streams and the multitude of paths can only really be done justice with a visit. Take a walk along the treetop “Boomslang” (Tree Snake) walkway, picnic under a shady tree and definitely pay a visit to the exquisite Sculpture Garden. Super family-friendly, you could spend the entire day at Kirstenbosch and never get bored. Not surprising that it is one of the city’s most popular spots. The natural beauty of Newlands is a restful and surprisingly nearby escape from suburbia and best of all it’s FREE. Explore this gift on the doorstep of the city with its meandering contour path, perfect for a gentle hike with kids or for walking the dogs or for something more rigorous if you are up for going higher. Braai facilities are also available. Start the day off early with a scrumptious breakfast at this Newlands-based hotel and then wander into the award-winning gardens for a walk around. You can walk on your own with the family and check out the ginormous tortoises or you can sign up for a guided walk the hotel’s horticulturist and environmentalist. The Montebello Design Centre is one of Cape Town’s best-kept secrets. The centre features more than 20 arts and craft studios and workshops, an historic greenhouse and nursery, a forge, stunning restaurant and organic deli farm shop. It’s a non-profit development project aimed at promoting good local craft and design, and generating job creation. Established in 2010, The Barnard Gallery explores various kinds of contemporary art, visuals and mixed media. 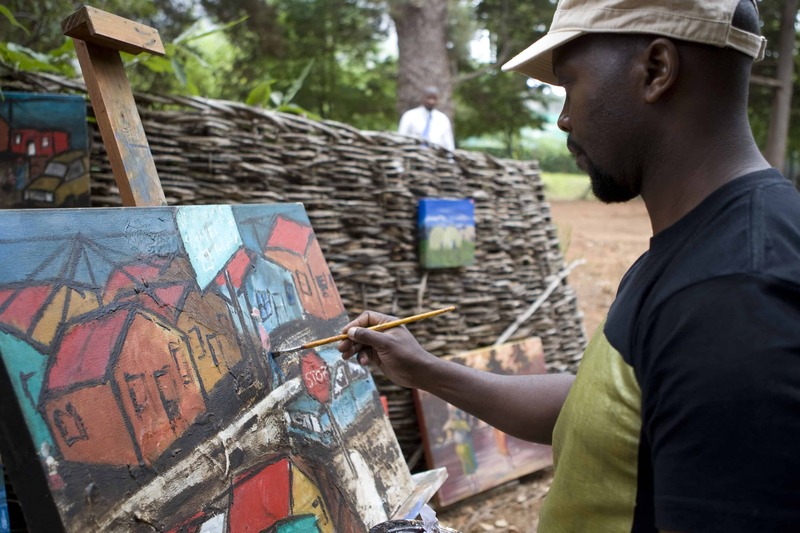 Known for providing local artists with a platform to show their work and connect them with buyers, the gallery acts as a showcase of new and established artists. 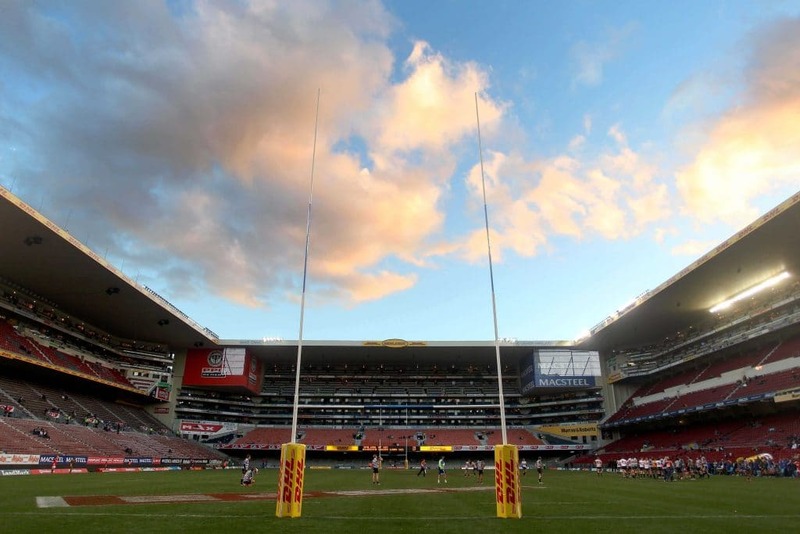 Gateway to Newlands offers guided tours of Newlands rugby and cricket stadiums, giving visitors a chance to see behind the scenes of places not usually accessible to the public. You get to visit areas such as the changing rooms, function rooms, press facilities, walk out of the tunnel onto the side of the field, and get an interesting insight into the history and tradition of these iconic sporting stadiums. A great slice of history, the Josephine Mill was first built in 1940, and while its machinery stopped operating in 1963, it was renovated and reconstructed to begin functioning again in 1988. Located on the banks of the Liesbeek River, it is both a museum and the only remaining water mill that is found in the city. A true hidden gem, drive down Springs Road, park at the end of the cul de sac, and fill up your water bottles from a spring coming out of a white plastic pipe at the end of the road. Sound a little dodgy? Not really, you won’t taste cleaner water. 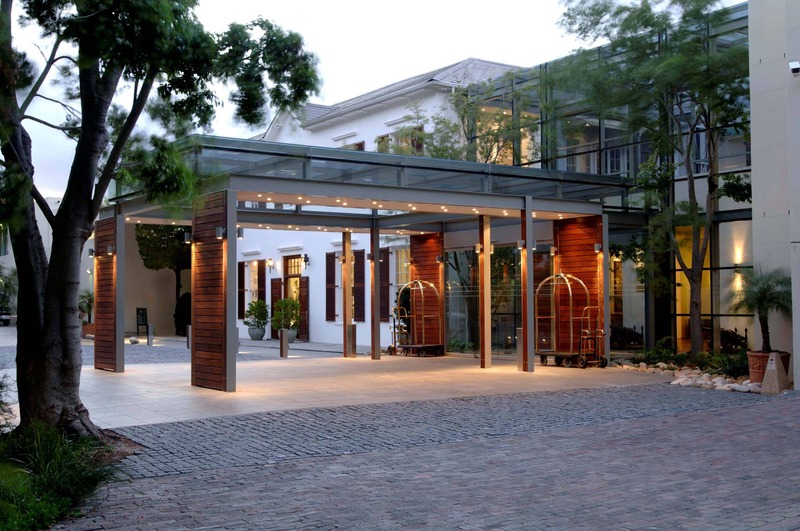 Experience the perfect style at Southern Sun Newlands. This award-winning hotel offers spacious, stylish accommodation, affording business and leisure travellers the opportunity to relax in an idyllic setting while enjoying a spectacular view of Devil’s Peak on the eastern slopes of Table Mountain. The hotel is also located close to the rugby and cricket stadiums. Choose from 122 Guest and Superior Rooms with comfortable furnishings and enjoy the on-site dining options, including a lobby bar. Parking, a swimming pool and gym are all available, as well as 300m² of flexible meeting space. The Wild Olive is a luxury guesthouse within walking distance of Newlands Cricket and Rugby stadiums, making it perfect for travelling fans, while it is also close to Kirstenbosch if you’re looking for some downtime. A well-equipped gym is also available and the guesthouse also offers a range of business facilities. Rates include a sumptuous cooked breakfast and a continental buffet. Set in a tranquil garden on a quiet, oak-lined Newlands street, nestled against the slopes of Table Mountain, Kidger House is conveniently situated close to the city and local business areas, Kirstenbosch Botanical Gardens, the University of Cape Town, Newlands rugby and cricket stadiums and Newlands Forest. Nobody knows Newlands better than a local. When you’re in town be sure to visit the local VIC at Kirstenbosch where staff can help you really uncover the magic on offer in Newlands and beyond. Call 0861 322 223 for more details.